BB.Q CHICKEN You may think you’ve already seen every possible iteration of crisp Korean fried chicken in the Koreatown section of Manhattan; Flushing, Queens; and elsewhere, but a new Goliath has just arrived. Genesis BBQ, with thousands of franchises in South Korea and other countries, is bringing its signature chicken, billed as fried in extra-virgin olive oil, and beer menu to New York. The ground floor of the two-level restaurant is for takeaway, with communal tables. 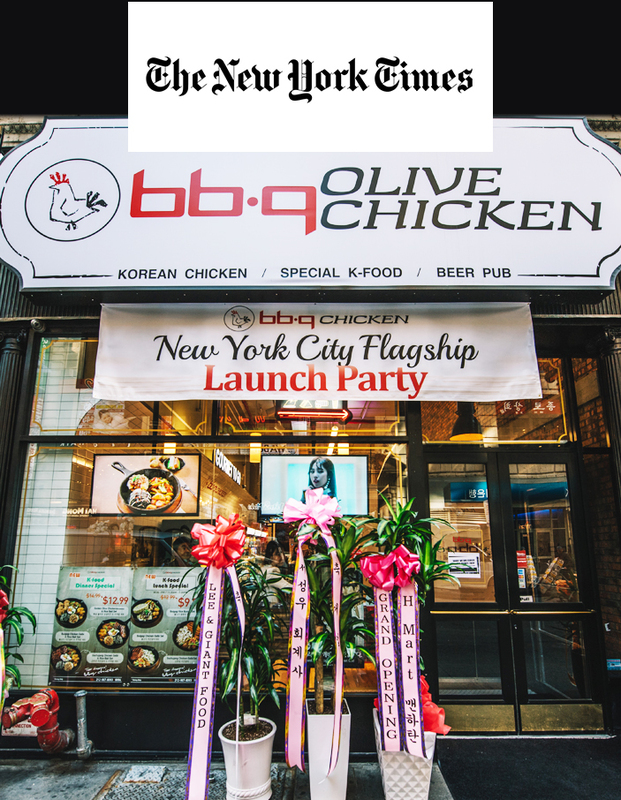 But the lower level is full service, offering various styles of chicken and other Korean dishes, some set meals, craft beers, wines and the like: 25 West 32nd Street, 212-967-8093, bbqktownnyc.com.